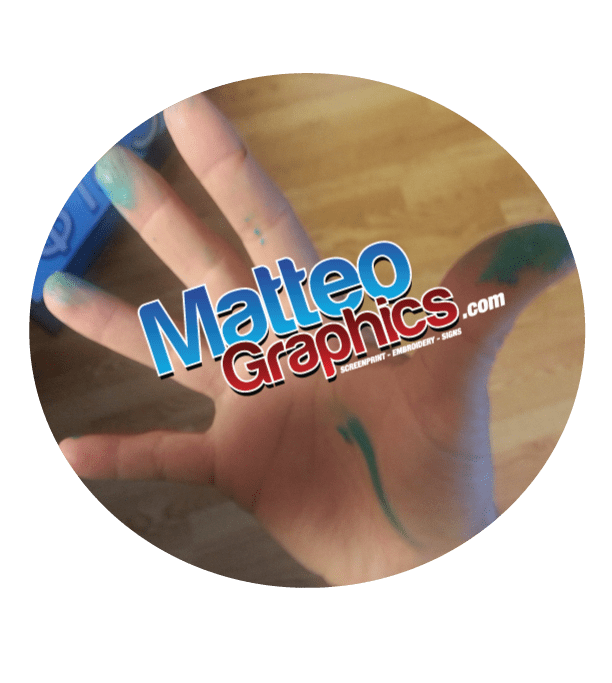 Welcome to Matteo Graphics. We try our best to be the best in our Industry! Everyday (well almost everyday – we try not to work the weekends) you can find us screen-printing, embroidering, designing amazing graphics, printing up full color-large formatted signs, wrapping a vehicle, and now our latest adventure customizing and fabricated 3d cut contour signs. We love what we do. You can say we are passionate about our work. We are not afraid to get our hands dirty. Yes, you can call us Hands-On company. We have to be in our line of work. If you stop by our place, some of you will even get a tour. It is interesting to others when they first stop by. It is still interesting to us after all of these years. We have perfected the art of vehicle wraps. Trust there is most definitely an “Art” to wrapping a boat or vehicle. We have spent countless hours perfecting our screen=printing techniques, too! We want to be involved in your projects and we enjoy making you look your best. We are in a world where Image is everything, it’s sad yet it can be loads of fun getting there. If you are not a current customer please Check us out, come to our location and say “Hello” we are located in Cape Coral, Florida. The CREW at Matteo Graphics!